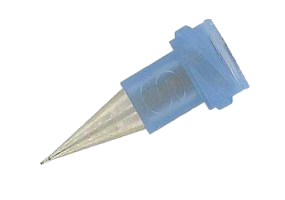 The valves of dispensing from the series CA are valves with silicone TEFLON ® shutter, they are extremely accurate. Each of her is accurately manufactured with high quality standards guaranteeing the reliability of the operations. They are completely tested and patented in pre-shipment laboratory. 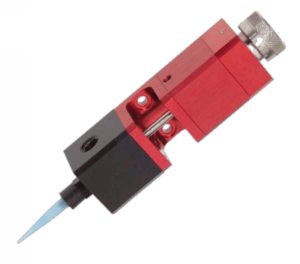 The valve with CA300 shutter is an excellent solution to put down reasonable quantities (small to average) of liquid products with fluids, type cyanocrylate, anaerobic, lubricating and other solvents. 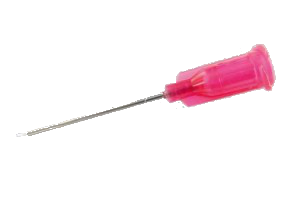 Ideal for the automated applications, she benefits from a low congestion and offers a precise and repeatable deposit with a perfect waterproofness. Simple and fast to calibrate, it becomes integrated into on-line applications and can be also activated thanks to a footswitch. Only the disk of the shutter is in movement, which involves a very low maintenance. We recommand you to use the valve with the following types of fluids : cyanocrylate, anaerobic, lubricating,oils, glues, epoxies. 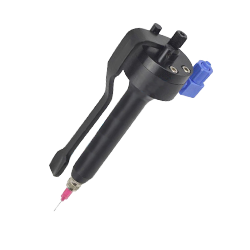 The valve with CAM200 shutter is an excellent solution to put down reasonable quantities (small to average) of liquid products with fluids, type cyanocrylate, anaerobic, lubricating and other solvents.Ideal for the applications requiring an ergonomic handling, a low maintenance as well as a precise and repeatable deposit. Easy to use and fast to be calibrated, this valve can be used thanks to a footswitch or a manual command. We recommand you to use the valve with the following types of fluids : cyanocrylate, anaerobic, lubricating,oils, glues, epoxies,solvents, alcohols, fats liquids, ink and paint. 100 % manual , the valve CAM300 is an excellent solution to place » by guesswork of the operator » small and big quantities of liquid products with fluids : cyanocrylate, anaerobic, lubricating, solvent and silicones types. Ideal for the applications requiring a deposit with constant flow by action of the operator, it is fitted with an ergonomic handling, for a long use . Simple and fast to start, this valve requires little or no maintenance. The regularity of the deposit is estimated by guesswork of the operator. We recommend you to use this valve with the following fluids : cyanocrylates, anaerobic, lubricants, oil, glues, époxies, solvents, alcohols, fats liquids, ink and paint.